Incorporating food safe panels and a fully insulated core, our insulated personnel doors provide a versatile solution for food, hygiene and many other applications. Our insulated personnel doors provide an excellent solution where a food safe, single action design is required. Using a range of hardware and frame options, each door can be designed to mount to a range of substrates from PU panels to solid wall. Additional protection is also available for each door and each door is available in stock and custom sizes and a range of colours. Dual action SS304 and 316L stainless steel helical torsion hinge system with 270° swing options. Insulated sandwiched panel with a twin skin powder coated finish available in a range of colours and finishes including stainless steel. Available with optional food safe UHMWPE machined bumpers, heat draped teardrop bumpers or steel facings. All doors are available with optional upper vision windows in a range of sizes and finishes. 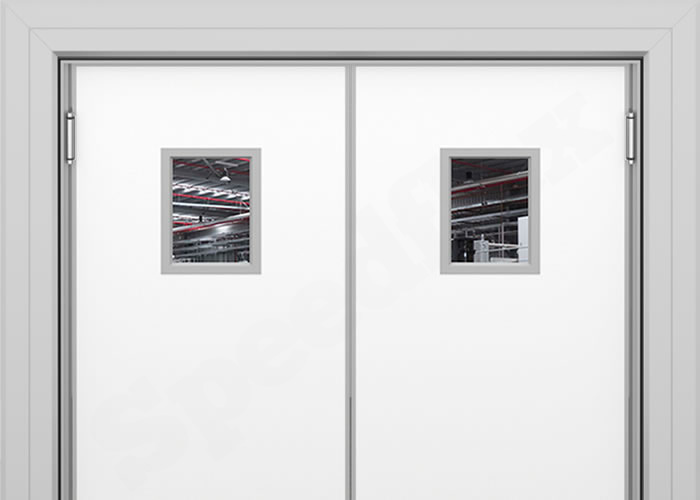 All doors incorporate a full height fixing spine and a range of aluminium or stainless steel mounting frames. 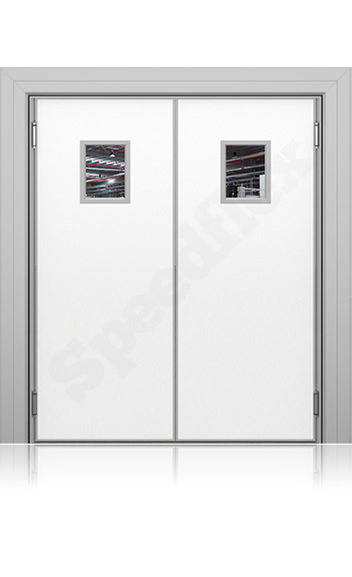 Our insulated personnel doors provide an excellent solution where a food safe, single action design is required. Using a range of hardware and frame options, each door can be designed to mount to a range of substrates from PU panels to solid wall. Incorporating a full height blade manufactured from a single piece of optically clear polycarbonate material with no material joins. 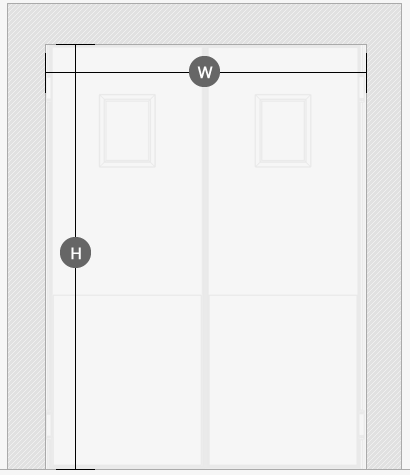 The top half of each door remains clear providing excellent vision and light transfer from both sides of each blade. Optionally available with scratch proof facings, this is an ideal door model for applications that require maximum vision and impact resistance. Providing excellent impact resistance, thermal stability and dimensional stability. Our polycarbonate door is an ideal products for a range of applications including food safe, retail, industrial and commercial. 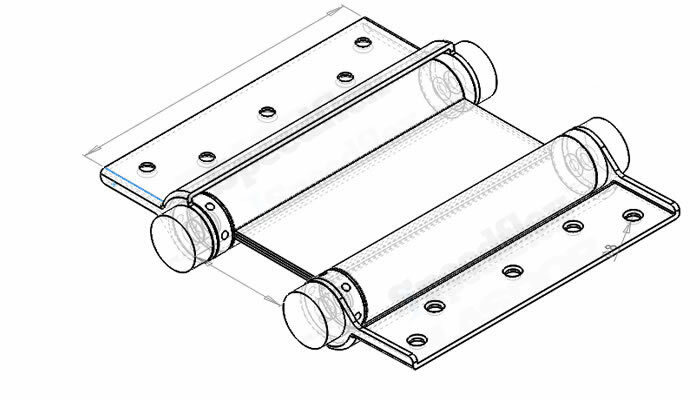 Our helical torsion hinge system has been designed to provide smooth and reliable performance with zero maintenance. 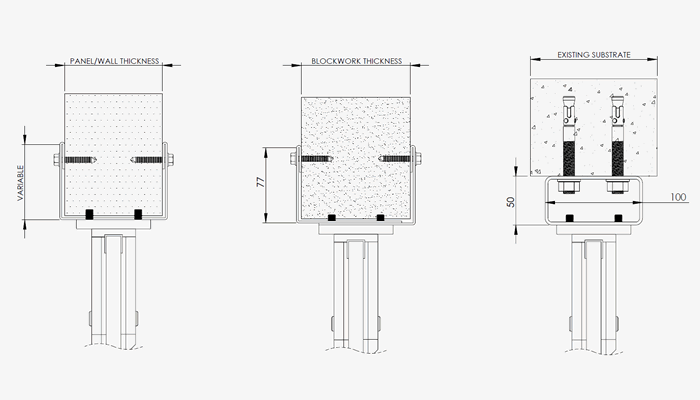 Our high quality stainless steel helical torsion hinges provide 270 degree operation and include fully adjustable tension to ensure smooth operation of any door size and weight. Optional lower aluminum and stainless steel facings are available on all insulated swing door models. Additional protection including heat draped polypropylene or food safe HMWPE and UHMWPE door bumper options are also available on request.